Biopolis is one of the areas that sprung up in the past year or so, with many restaurants and cafes opening one after another to cater to the office workers and residents in nearby neighbourhoods. Here are the 5 hidden food gems that you should definitely check out at Biopolis. 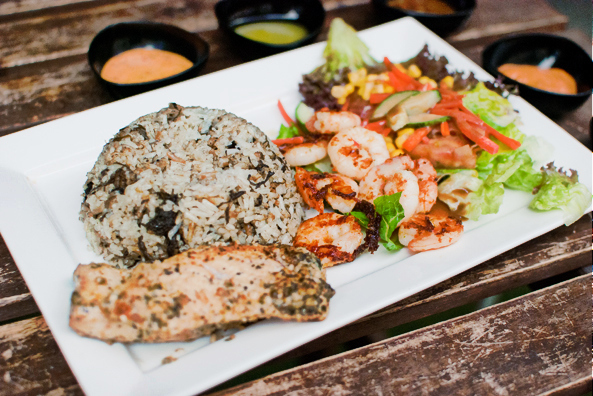 There are more and more F&Bs that operate as a café, restaurant and bar, all under one roof. 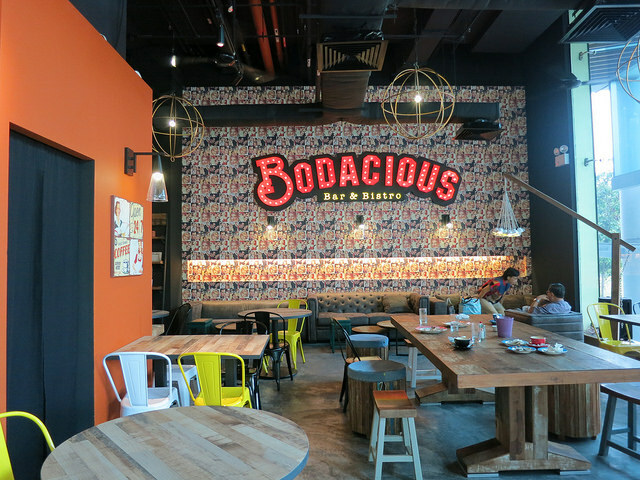 Bodacious in Biopolis is one of them, where you can enjoy all kinds of food and drinks, from all-day breakfast to alcohol and bar food. Oh, and don’t forget to take a photo with their huge neon sign! Pronounced as ‘tat-a-tat’, it means to ‘chit chat’ in French. Serving cakes, pies, sandwiches and more, it is a great place in Biopolis for a high tea session. Come here with your friends, colleagues, family or anyone to have an afternoon of chitchatting over tea, cakes and nice desserts! Al fresco dining or simply coffee break? Long Black Café in Biopolis has a large outdoor seating area that is perfect for those that prefer the sunny weather of Singapore! And no, they don’t only serve Long Blacks; they do have milk-based coffee as well as a mean Molten Lava Cake! Def love my job, cabbed out of school with the roomie to meet @myraaong for lunch & back to school. ? Inspired by all the K-drama? 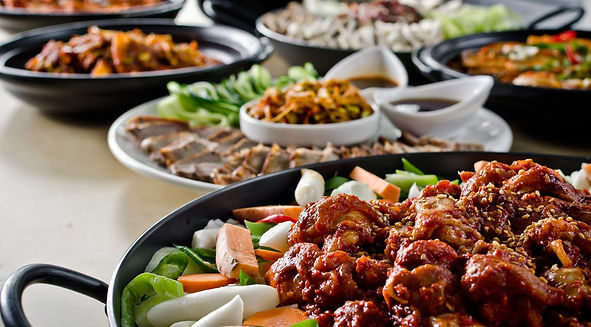 Head down to Big Mama in Biopolis for some authentic Korean food! Whether you are craving for Bibimbap, Budae Jigae or Kimchi Fried Rice, they surely have something to satisfy you! For the health-conscious readers, customise your very own salad at the Lawn in Biopolis, choose from a range of ingredients such as vegetables, carbo and even grilled protein! Who says that you can’t have a hearty lunch at a salad bar?